I really enjoy all aspects of the Olympics. It is amazing to see individuals pursuing their very best. The majority of athletes will leave the Olympics without a medal – that is the reality – but they will all go home changed people. Some of those changes will be positive: fame, fortune, and new opportunities. For others they will have not achieved their goal, and they will go home with a deep sense of failure and shame. Others will be deeply thankful for the entire experience, for people they met, for the PBs (personal bests) they have achieved, and for reaching their personal goal to participate in the Olympics. Even those that win medals can come away from the experience with a sense of loss. 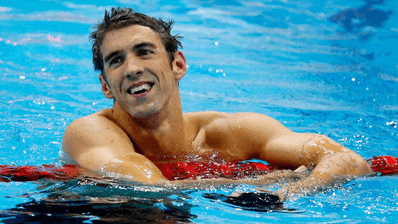 The greatest Olympic athlete of our time, Michael Phelps, struggled deeply after the London Olympics. He had achieved the pinnacle in every element of his journey, and yet was very unsatisfied. Through the pain of success (yes, you did hear that right) he had totally defined his identity around Michael Phelps, The Olympic Athlete. As that part of his journey seemed to be ending, he lost all sense of his identity and life compass. After his much publicized personal challenges, he used that painful journey to uncover what was truly important. He reconciled with his Dad, sought out key mentors, and put that drive into his whole person rather than just his athletic performance. One of the books that deeply impacted him was The Purpose Driven Life. He truly found the purpose of his drive – his talent could have a much important impact on others than just winning medals. Now, for the first time, he was asked to Captain the American Olympic Team. Interesting enough, one of the great stories of the RIO Games is the return of Michael Phelps – not the athlete, but the person. That is the definition of a true champion. Each year, my team and I help individuals and organizations every year in all sectors and industries make the best career and leadership decisions – and we can help you too. Work made better is life made better. Who is your career & leadership coach? P.P.S. We take the human approach when it comes to leadership development.Organizations such as The Canadian Red Cross, Toyota & The Auditor General work with our coaching team to help with leadership support programs. Contact Lee Grant, VP Corporate, at 1-877-256-2569 x 400 or lee.grant@careerjoy.com for details.